This dual-colored Battenberg tea cake from Food Swoon is guaranteed to be adored by any mother. The checkered sponge cake is layered with apricot jam and wrapped in marizpan. As per the blog, the cake was "created to celebrate the marriage of Queen Victoria’s granddaughter, Princess Victoria, to Prince Louis of Battenberg in 1884. 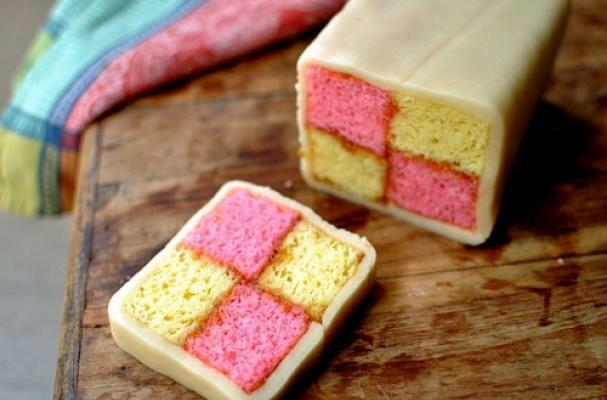 The four cake panels symbolize the four princes of Battenberg." You can customize this cake to fit your own mother's particular preferences to make it extra special (favorite flavor jam, color, cake etc...). A homemade cake is always a good Mother's Day gift.